I spent all day Thursday finally getting my bedroom unpacked (hey, 6 months isn't that long...). 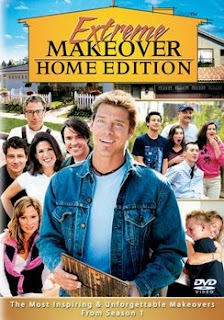 While I was working I ended up watching a marathon of Extreme Makeover: Home Edition. I sob uncontrollably almost every time I watch Extreme Makeover: Home Edition. I say almost because there was one episode that really pissed me off. I think they lived in Louisiana. The father was unable to work due to his "disability." The house was falling down. The mom was working 4 jobs to keep them afloat. The first thing that pissed me off was that there were three adult children living there, none of whom worked or attended school. So, Ty and the gang came in and built them a huge house, giving each of the lazy adult children their own suite. They also built a custom garage with lift and equipped it with top of the line mechanic's tools because "disabled" dad's hobby is fixing cars. Umm...if you can get yourself under a car and fix it, surely you can work somewhere. In addition to the garage, they stocked the pond on the property with fish and gave them a boat and every family member their own fishing gear, enabling lazy kids and "disabled" dad to spend the days fishing instead of contributing to the family. I felt bad for the mom, who does everything. I was glad she got to have a nice house. But it made me mad that the rest of the family's slovenliness was so greatly rewarded. I'm awesome at being lazy. Where's my mansion, Ty? Before I get angry comments, I believe that 99% of the home recipients are hardworking people who more than deserve a beautiful home. Also, I put disabled in quotations because, quite frankly, I do not believe this particular guy was disabled enough to be unemployed based on his daily activities. It's not my opinion of the disabled community as a whole. Talk about two major pet peeves of mine: adult children mooching off their parents, and people abusing the system. I completely agree with you -if that guy can get under a car, he can do something to contribute. But I can't feel completely sorry for the mom -she's letting her kids live there. If I were her, I would have kicked their lazy butts outta there years ago. I can't stand that show after I read an article about how it doesn't really help the families. The homes are built so quickly that the workmanship is shoddy and the taxes cause people to lose those beautiful homes anyways. It's all about tax codes and pretty boring, but you get the idea. 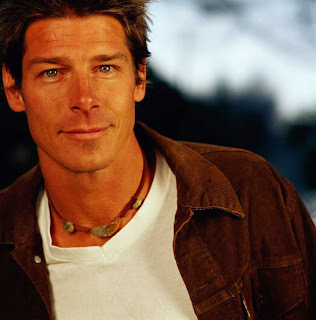 Of course, who doesn't love Ty Pennington? Just kidding, but I believe that you can get disability if you have a medical condition that prevents you from doing your 'normal' job. I may be wrong. But just like you say, some people work the system. I love love that show.... I however, haven't seen that episode. I didn't know people lost thier homes. How sad is that??? You know how many people send in applications? Something must have hit the producers to choose that family. It is difficult for the families withthe taxes I have heard. After all they were not doing that great pauyinh taxes on what they had- and now you "gift" them with a million dollar home and they have to pay the tax on the worth of the house. That being said- perhaps there are reasons that you did't see for the man not be working- those that are not purely physical- disabilities are not always apparant. And whay you and I may think is a healthy person may not be. As for the children. My adult child lives here and although he does not pay rent he does help out in other ways, both monetarily and otherwise.